Book reviews, giveaways and much more! Andi Callaway has dreamed of becoming a published author her entire life. Ford Delaney has always wanted nothing more than to escape his past. An opportunity of a lifetime. This is what Andi finds when she returns home to Callaway Cove on summer break. A chance to work for her literary idol Ford Delaney is up for grabs, and she’s willing to risk everything—her boyfriend, her best friends, and her education—to get it. She’s positive this will be the key to reaching her dreams. But the moment she begins working for the reclusive author, Andi realizes there’s more to him than just a name. As attraction builds between Andi and Ford, she begins to discover consequences must come hand-in-hand with something great—which could loosen control over her tightly wound life. 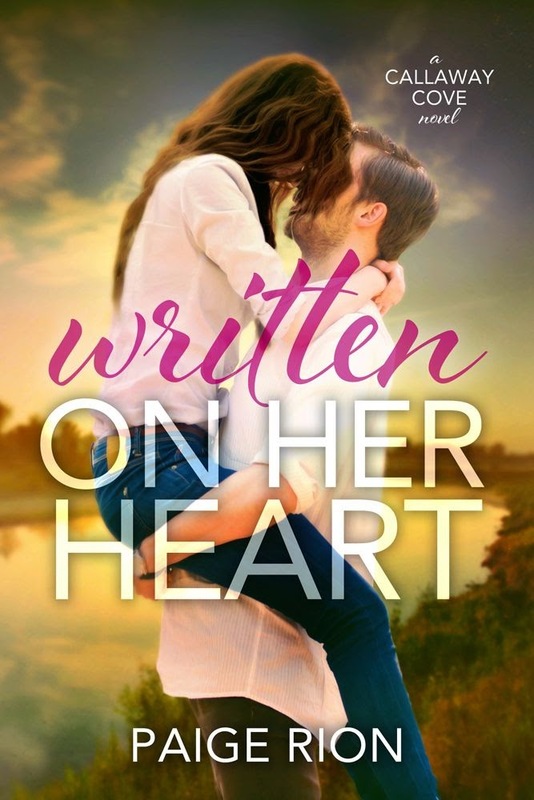 And once romantic sparks fly, Andi’s other relationships start to crumble, Ford’s fame comes back to haunt him, and the heat they generate will either forge a powerful, enduring love or threaten everything she holds dear. I received a free copy of this novel in exchange for my honest review. For as long as Andi could remember, all she's ever dreamed about was becoming an author. She had her future all planned out, so when the opportunity to be an assistant to Ford Delaney, a very successful novelist, she jumped at the chance to apply for the job. Unfortunately, their love of writing isn't the only connection the two of them share, and soon their attraction to each other is something they cannot deny. I have to start off by saying that I'm not a huge fan of romance novels. The stories have to have a lot of history and intrigue to draw me in and hold my attention. This is one such book! The story is something I'm sure we can all relate to. We all have an idol that we look up to, and to have an opportunity to learn the business from them would be a dream come true. You can understand how torn Andi feels over her attraction to Ford, even trying to understand her jealousy over the relationship Rachel had with Ford. I loved the premise of the book as it was from the point of view of an aspiring author. The story did get a little slow in the middle, and it seemed to drag a little but overall it was a fantastic small town romance story. Paige Rion is a contemporary romance author. She's a mother, wife, blogger, hopeless chocoholic, coffee-addicted, wine-lover. Her debut, novel--a new adult romance--Written On Her Heart, is the first in the Callaway Cove series. She is also the author of the new adult romance serial, Claiming Callie. The fourth and final installment of Claiming Callie is due out in October, followed by the release of the second Callaway Cove novel. She loves connecting with readers on her blog and social media. Share book reviews and ratings with Simone, and even join a book club on Goodreads.